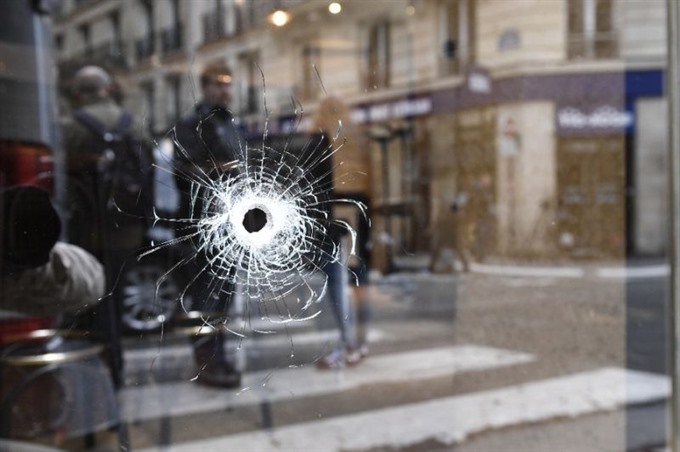 PARIS — French investigators will widen their probe Monday to include possible help provided to the Chechen-born 20-year-old whose stabbing spree in central Paris, claimed by the Islamic State group, left one person dead and four seriously wounded. The man, identified as naturalised Frenchman Khamzat Azimov, carried out the attack Saturday night in a lively area of theatres and restaurants near the city’s historic opera house. Although Azimov had no criminal record, he had been on both of France’s main watchlists for suspected radicals -- the so-called "S file" and a more targeted File for the Prevention of Terrorist Radicalisation (FSPRT), which focuses on people judged to be terror threats -- since 2016. "What good does this S file do if we don’t use it to get these ticking time bombs off French soil," far-right leader Marine Le Pen posted on Twitter. "Unfortunately, there’s no such thing as zero risk," he said.